Laura Cadmus, pastor of the First Congregational church, lives with faith in every aspect of her life, even in the kitchen. Cadmus is the new pastor at the First Congregational church at Scott Hill Road, Berlin, a presbyterian congregation. Presbyterianism is a protestant denomination that came to America from the British isles, and most presbyterians in America have some connection back to Scotland. “My mother grew up in roman catholic and my father was presbyterian, my mother raised me in presbyterian church,” Laura said. Cadmus has a background in science and worked in many jobs, including as an electrician, before she attended seminary and pursued a career in religion. Cadmus started her duty as a pastor in Berlin on May 29th, 2016. 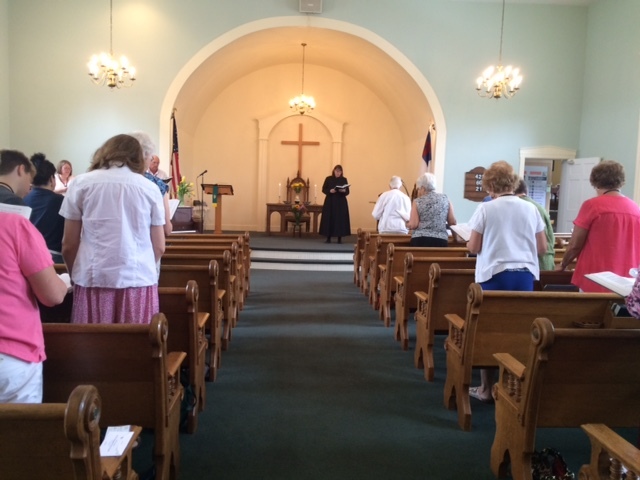 The service started at 9:30 with a prayer and hymns, which the congregation and Cadmus sang together. Cadmus believe that faith comes from reading the scriptures. Then, after Cadmus had given a short speech about god and faith, she asked two children what amazed them about faith. 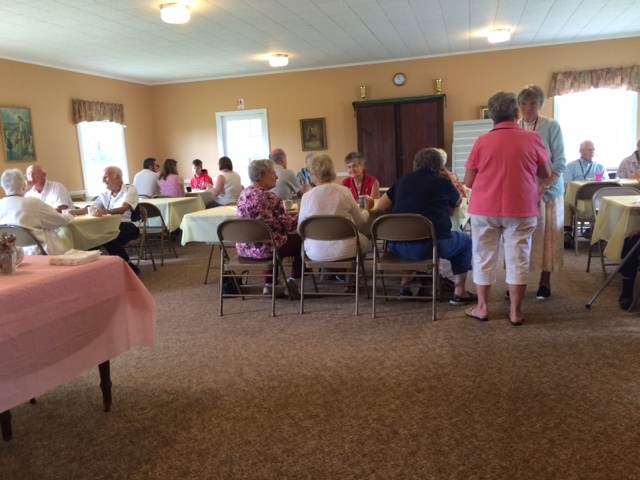 The service ended with two prayers and all the parishioners went to the back hall for coffee and snacks, to talk with each other, or even with a stranger to build a new relationship. “This Church was started in 1840,” Sally, one of the parishioners said. “A lot people don’t come here (to the church), but they contribute,” Lacasse said. This coffee hour is helpful for Cadmus as a new pastor, to become comfortable with the community. She find her duty very satisfying. Cadmus believes that she experienced a call from god which was bigger than her choice. Her career as a pastor represents her as a whole person.